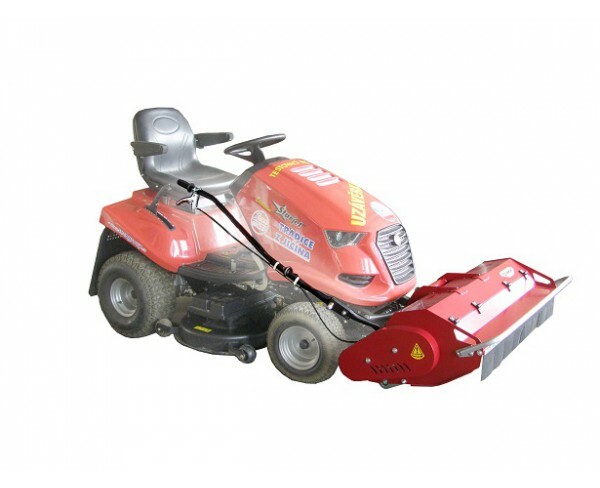 MCT flail mower is a one from the range of compatible adaptors for Seco Starjet lawn mower. 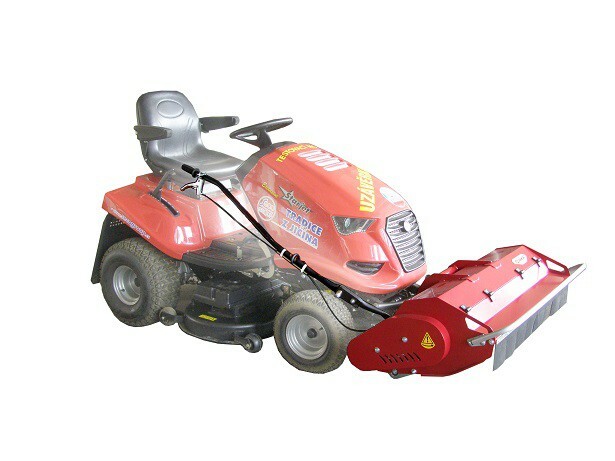 The mulching device crushes grass by means of the mowing rotor which includes the fitted specially shaped mulching blades 18Y. 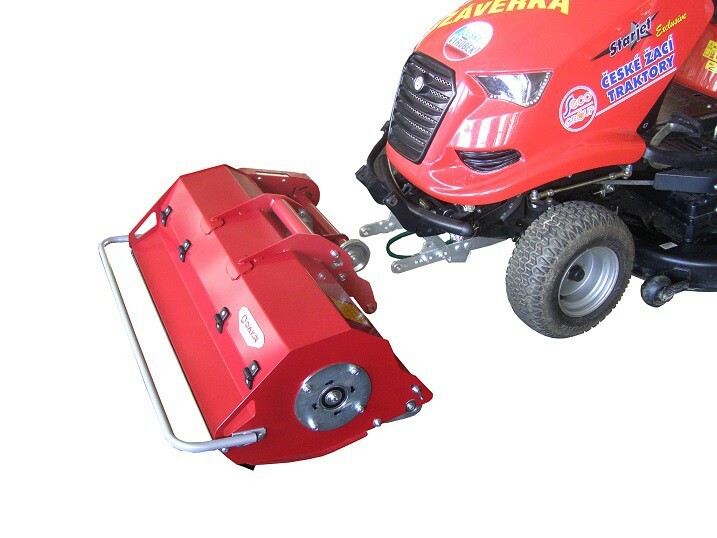 The mowing rotor is covered with solid covers. 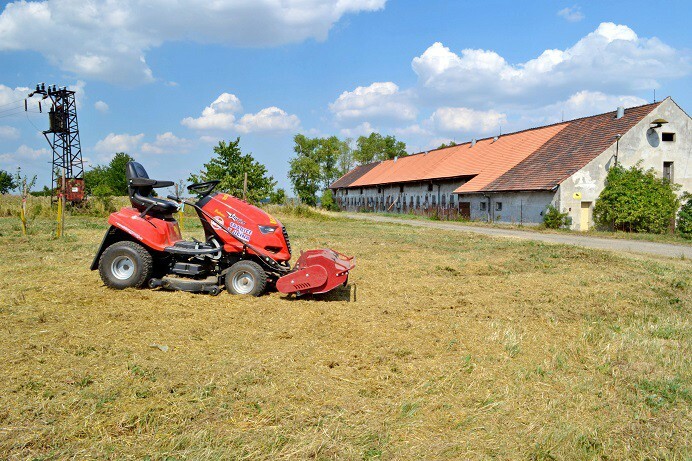 The front part of the solid cover can be tilted during maintenance. 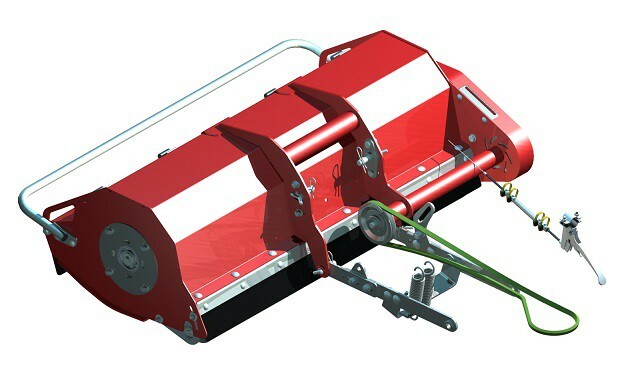 The front part of the mulching machine includes the damper, which is used as the safe barrier and also as the handling attachment. 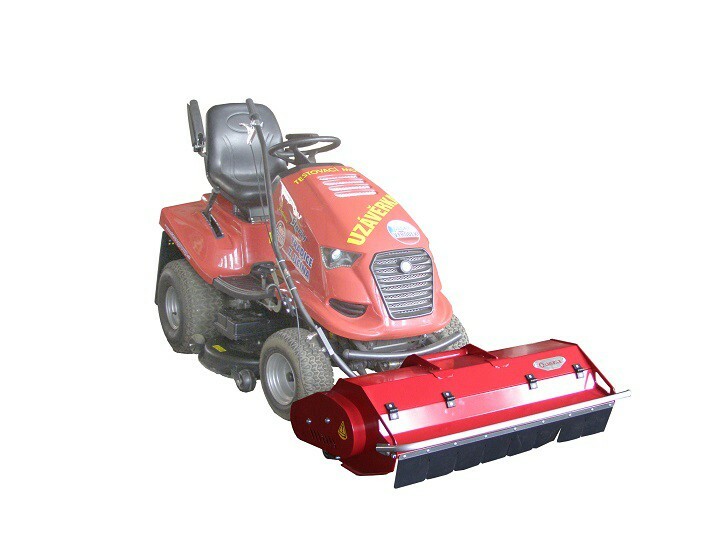 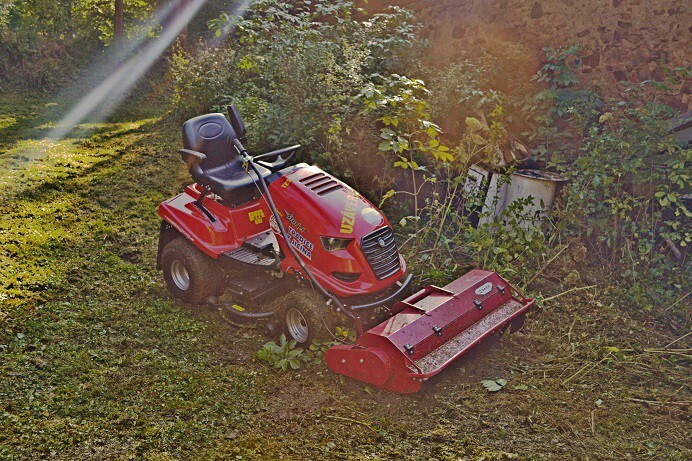 The mowing rotor with the blades is driven with the V-belt placed in the side cover. 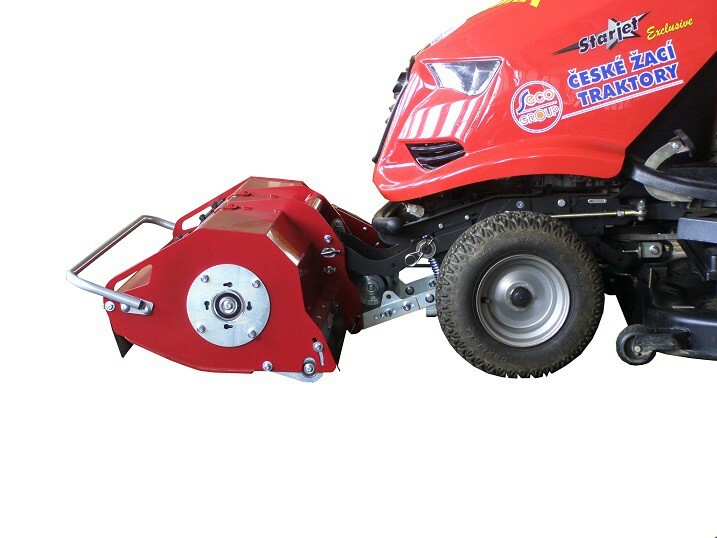 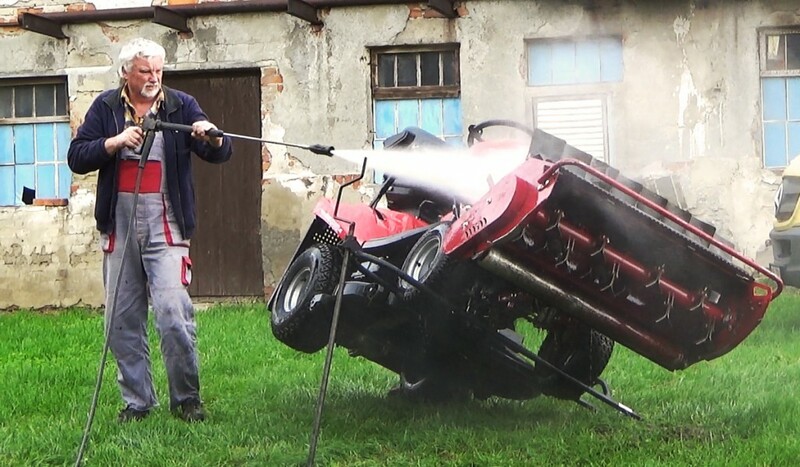 The rotor start is performed by means of stretcher controlled with lever attached on the lifting lever of the front adaptor. 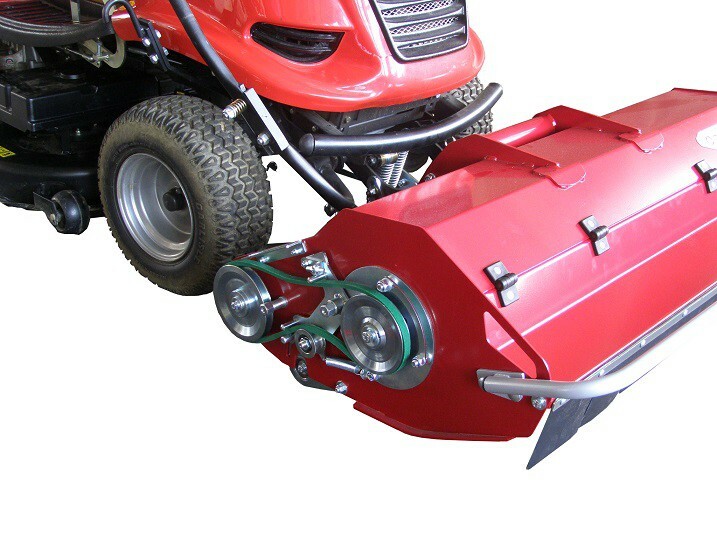 The driving band pulley of the gear is connected by means of the pattern shaft to the band pulley in the centre of the adaptor, which is driven by the V-belt from the band pulley on the tractor chassis. 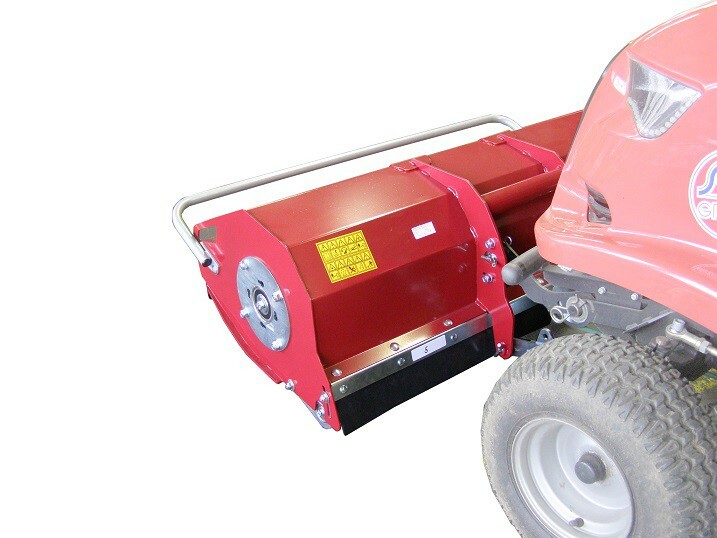 The rear part of the operating adaptor is height adjustable support tollrt which defines the stubble field height.